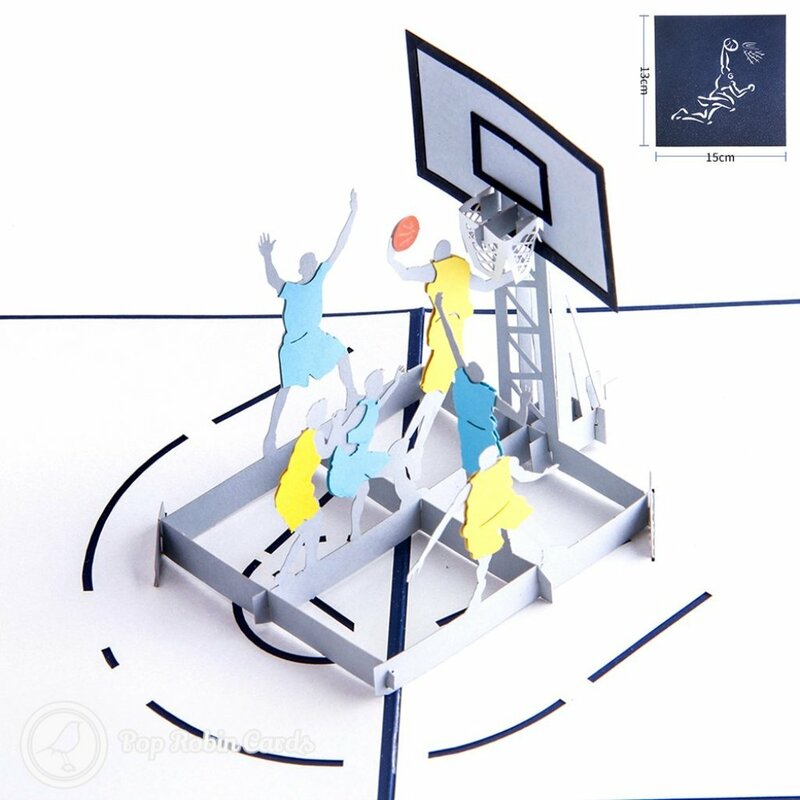 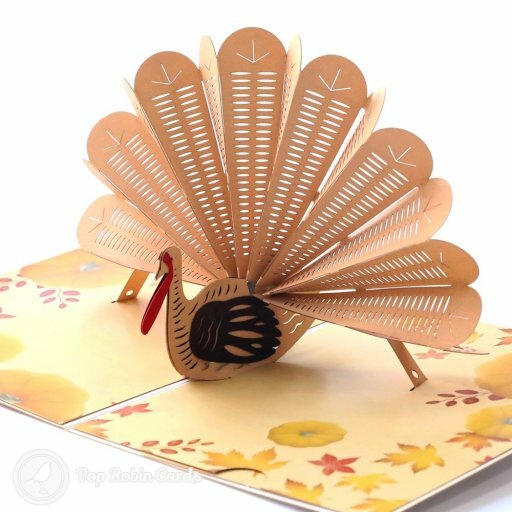 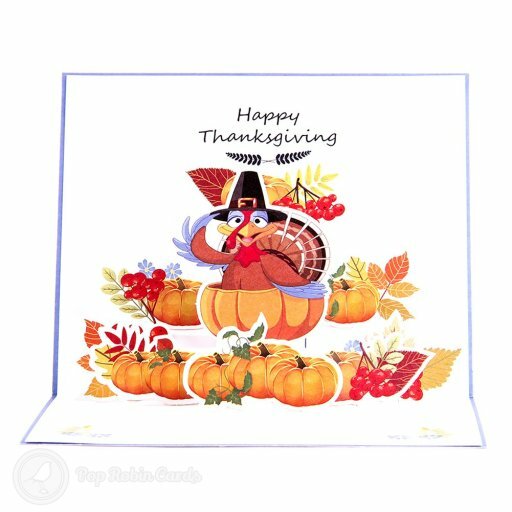 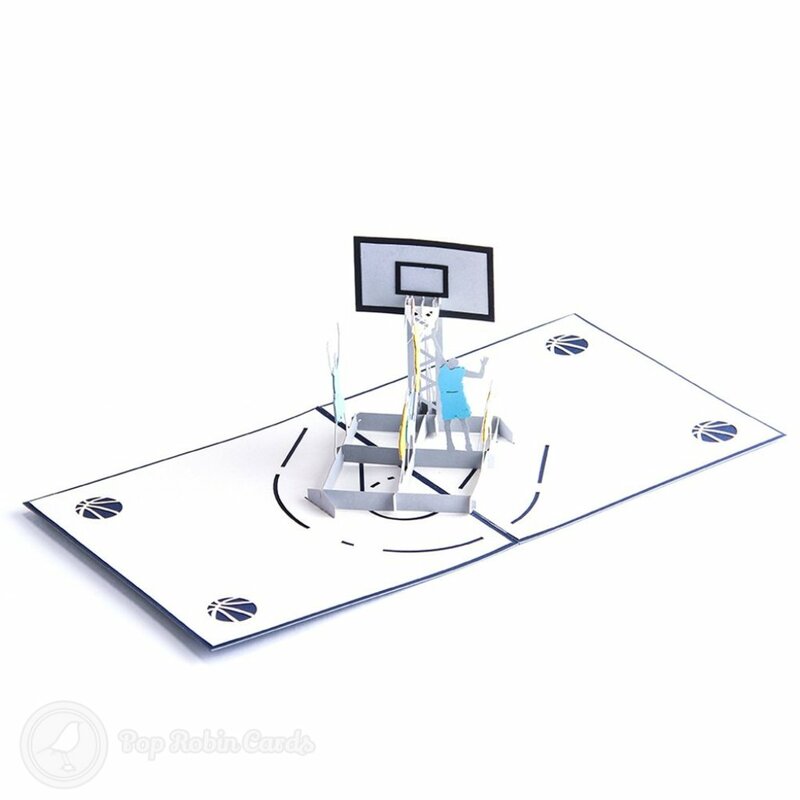 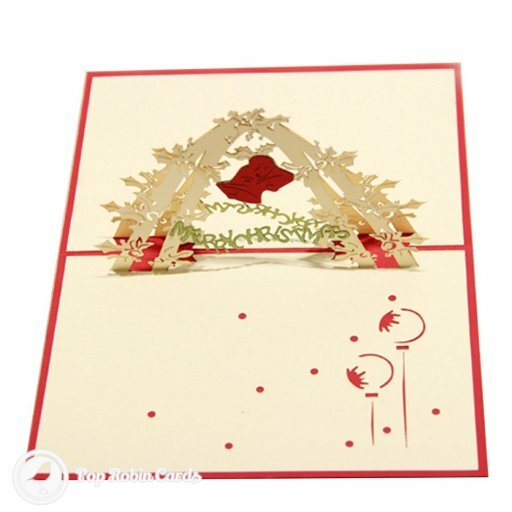 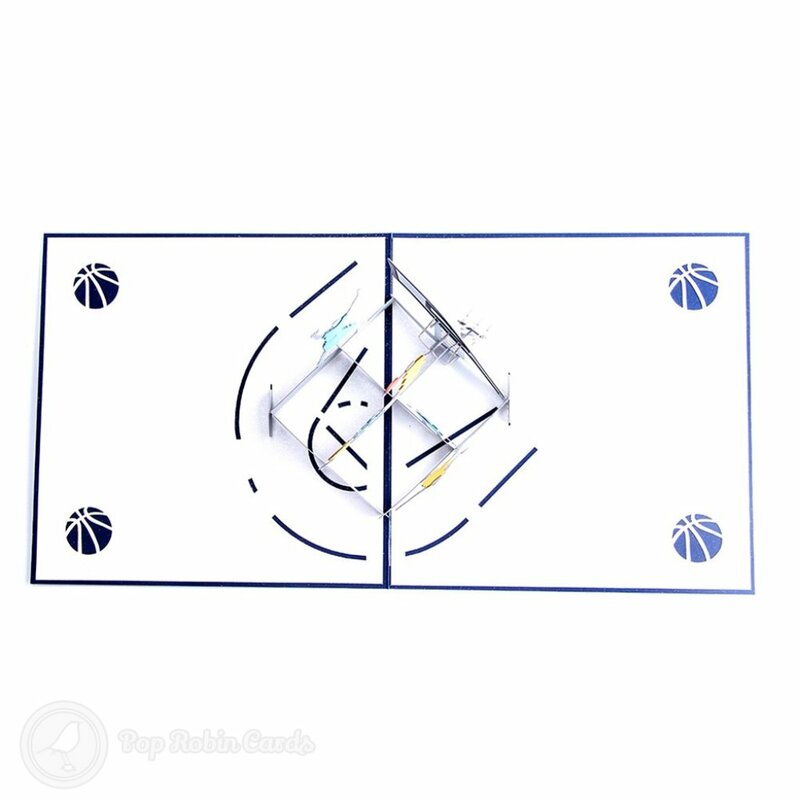 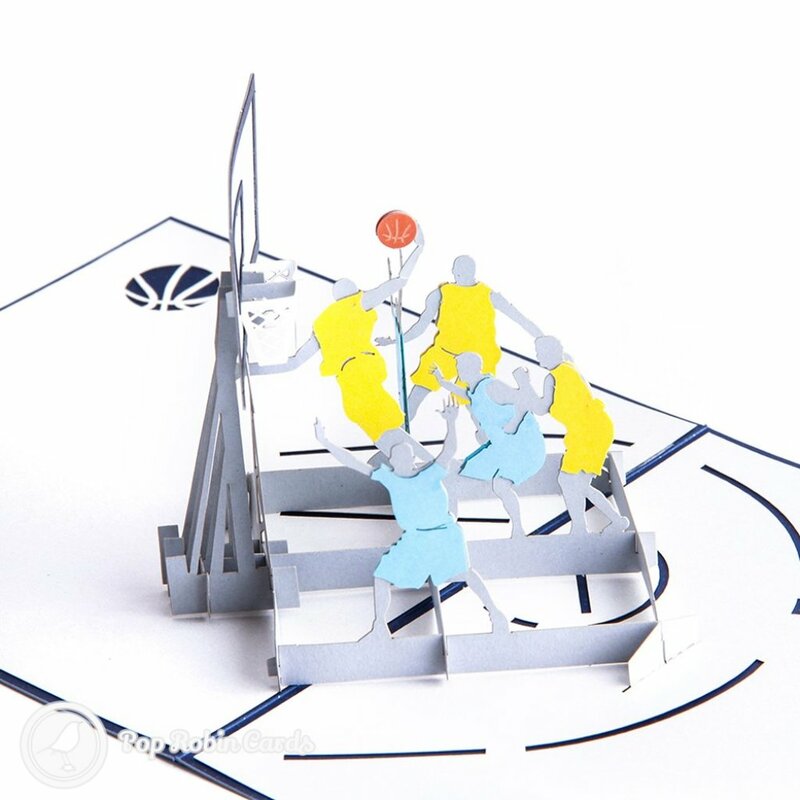 Amaze the basketball fan in your life with this 3D pop-up greetings card showing basketball players around a hoop, with a slam-dunk about to happen. 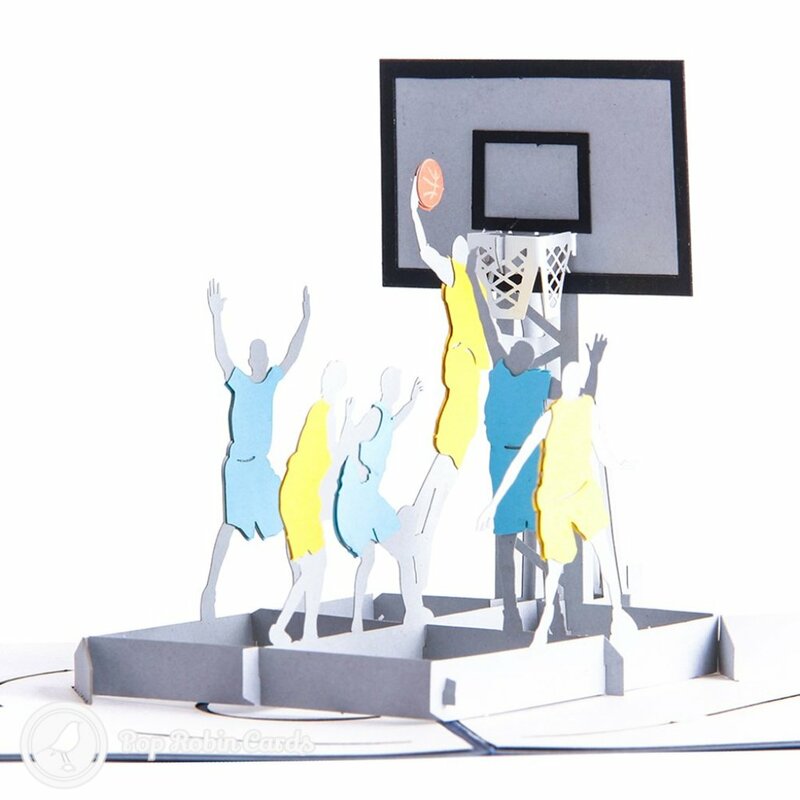 This wonderful sport-themed card shows two teams of basketball players in vivid detail. 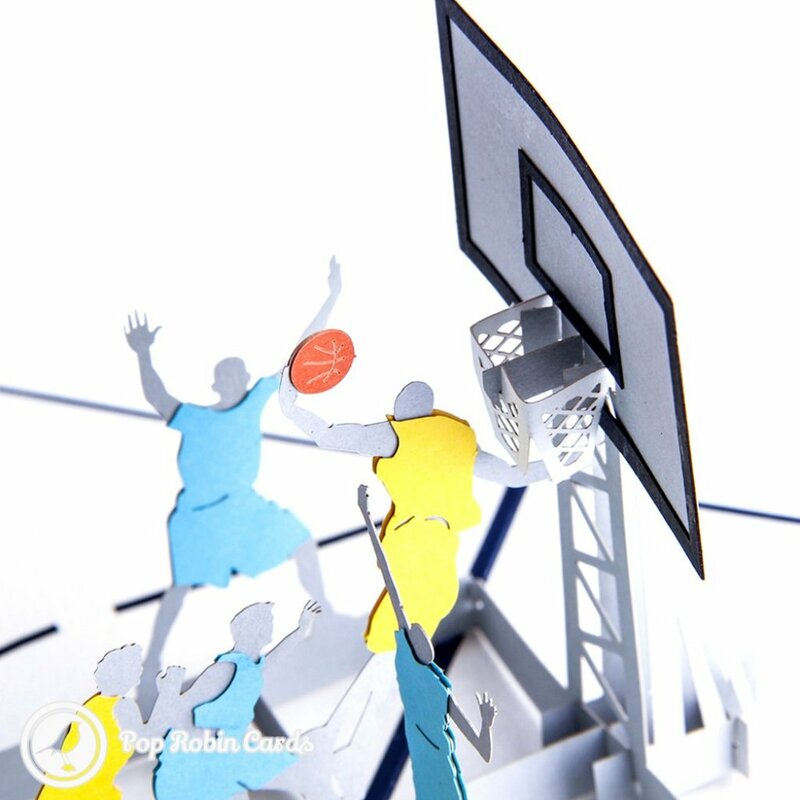 The cover also has a stylised basketball slam-dunk stencil design.